Interior storm windows are being added to the Pioneer Building to make it more energy efficient. Is it possible to save beautiful, historic windows and yet bring their thermal efficiency close to Energy Star levels of performance? Is it possible for historic preservation and energy performance to happen at the same time? The forward-thinking folks at the iconic Pioneer Building are proving that it can be done! 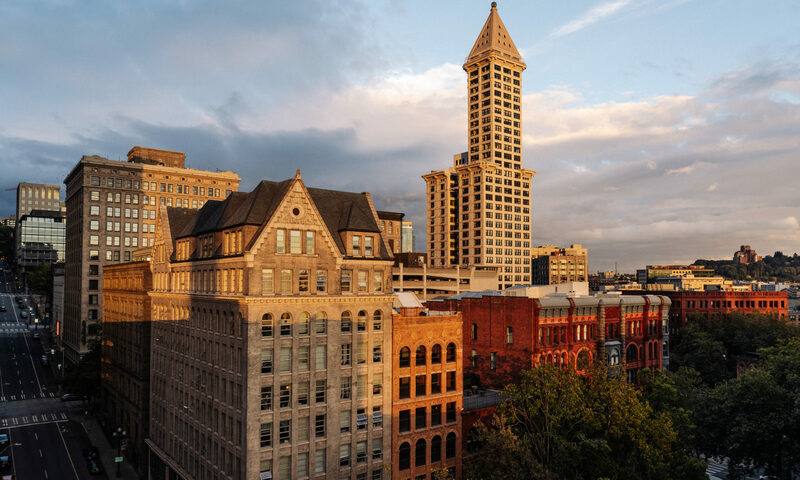 With help from the local family business, Windovative Design LLC, they are installing interior storm windows throughout this landmark office building in the heart of Pioneer Square. The Pioneer Building demonstrates that this can be done with windows of all shapes and sizes. Join Van Calvez, MSE, LEED AP to see how historic windows can be made to provide warmth, comfort and energy savings, without replacement. 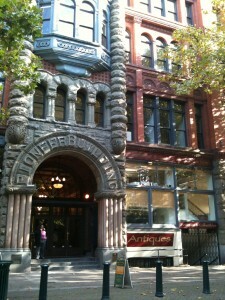 More on the tour of The Pioneer Building storm window tour. Scroll down to Interior Storm Window installation for Historic Buildings. The Alliance is committed to actively engaging businesses and supporting economic growth in the neighborhood. One such effort includes creating a retail vision for the neighborhood and expanding the mix of unique retail tenants in existing and emerging economic clusters. Efforts are underway to interview neighborhood stakeholders and understand the existing conditions. The developed retail vision will form a merchandise mix plan with recommendations of the ideal retail mix and combination that is most suitable for Pioneer Square. Over time the retail mix will change, supporting the success of the neighborhood. The Alliance is committed to maintaining this capacity within the neighborhood. 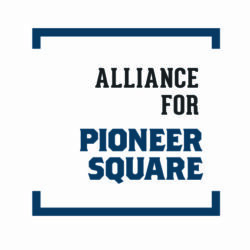 The Alliance has contracted with nationally recognized and local consultants from Downtown Works to implement a successful retail recruitment strategy to train local people to find and recruit independent retailers to the Pioneer Square neighborhood. Margaret McCauley, the Founder and Principal of Downtown Works is an expert at creating and implementing sustainable retail strategies that turn decaying urban zones into vibrant, vital downtowns. Ms. McCauley’s method combines quantitative data, such as demo- and psycho- graphics, with rigorous qualitative observation. Throughout her career, she has drawn on the resources and perspectives of retailers, private developers, corporations, urban planners, and design professionals to help her clients successfully transform their downtowns into dynamic environments. 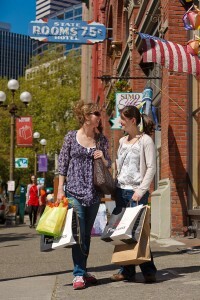 Let’s work together to improve and expand the retail vitality of Pioneer Square. The neighborhood is growing! 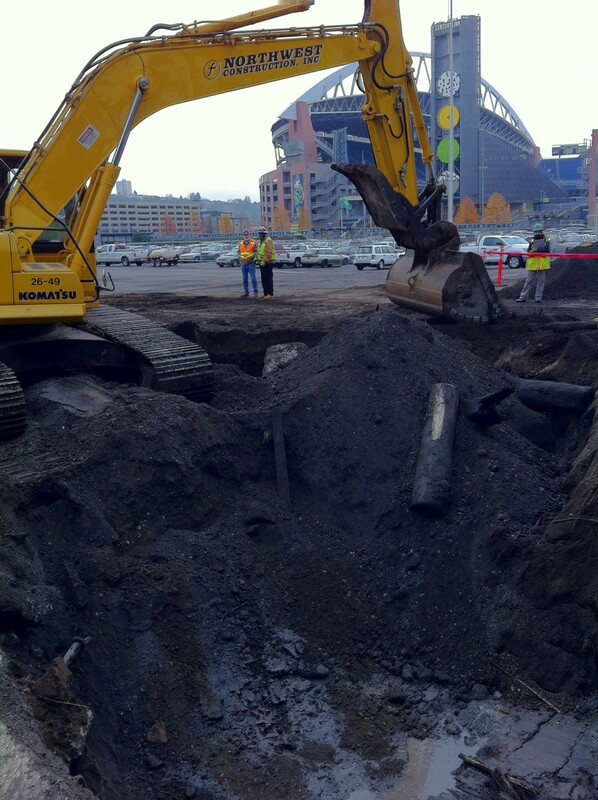 Daniels Real Estate, LLC led by design firm ZGF Architects is improving the north surface lot of the stadium properties into the largest transit oriented development in the Pacific Northwest. 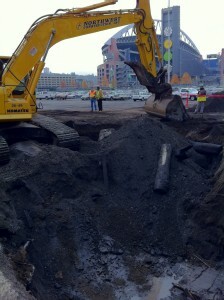 The mixed use project, Stadium Place, will create 1.5 million square feet of new space in Pioneer Square. The project will bring 700 units of market rate housing and 100 units of workforce housing to the neighborhood, unique mix of retail, a convention hotel, and office space. These centers are incubators of innovation and growth because they provide the type of close proximity, diversity of experience, and living amenities that are crucial for the sharing of public services, business support services, skilled employees, and knowledge spillover. – Daniels Real Estate LLC – Economic Value of North Lot 07-13-2011. 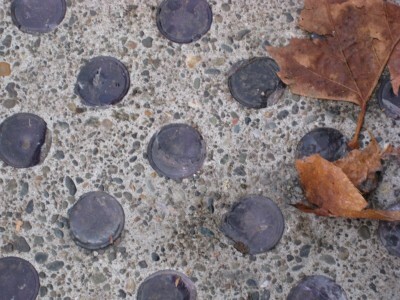 A comprehensive action plan is underway to complete an accessible guide and technical assistance for property owners in preserving the character-defining sidewalk prism panels in Pioneer Square. The guide will provide the much needed information for property owners to invest in restoring and maintaining the prisms in the sidewalks adjacent to their structures. There is an urgent need to address safety issues that exist in the deteriorated panel systems and to halt the further destruction of the remaining historic fabric. 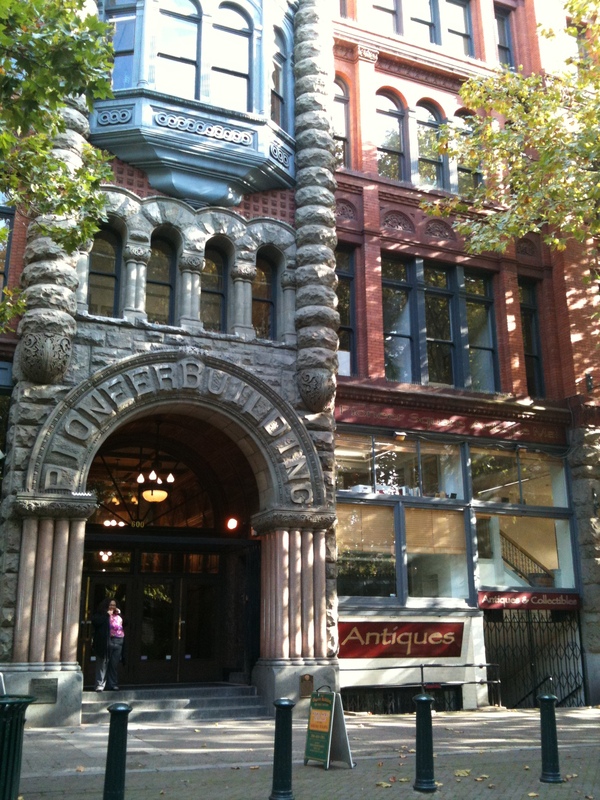 According to a 2011 Seattle University study, there are over 19,000 areaway prisms throughout the Pioneer Square Historic District. Approximately half of these prisms are in need of repair. The prisms are not only historically advantageous for lighting the areaways below the street level, but they also contribute to the composition of the entryways and facades of buildings in the district. High volumes of pedestrians are traveling both above, at the street level, and below, as a part of the Underground Tour each day. The Areaway Prism Action Plan project is an award recipient of the Landmarks 2011 matching grant from 4Culture. The plan will complete an approved work plan for two pilot project locations of the most prominent corners in the district. According to Seattle Municipal Code, adjacent property owners are responsible for the maintenance, repair, and safety of sidewalks. The Action Plan will identify opportunities for potential funding for the preservation and repair of the prominent feature of the prism glass panels. We are looking forward to sharing our progress in this effort.